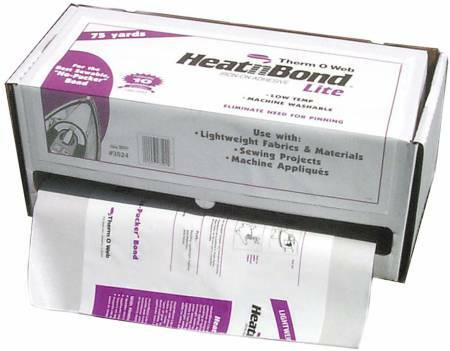 A paper backed sheet of solid lightweight, heat activatedadhesive. It's low temperature and short pressing timeallows for a wider range of materials. Once applied, it canbe sewn through, making it ideal for appliques, quilts andother sewable lightweight craft projects.